Start at the car park at Benderloch, NM 905381. Follow the path from the car park, turn first right, then steeply up through the trees and out on to the open ground. A good path leads over a boggy area then a short steep section up to the summit. Return by the same route. 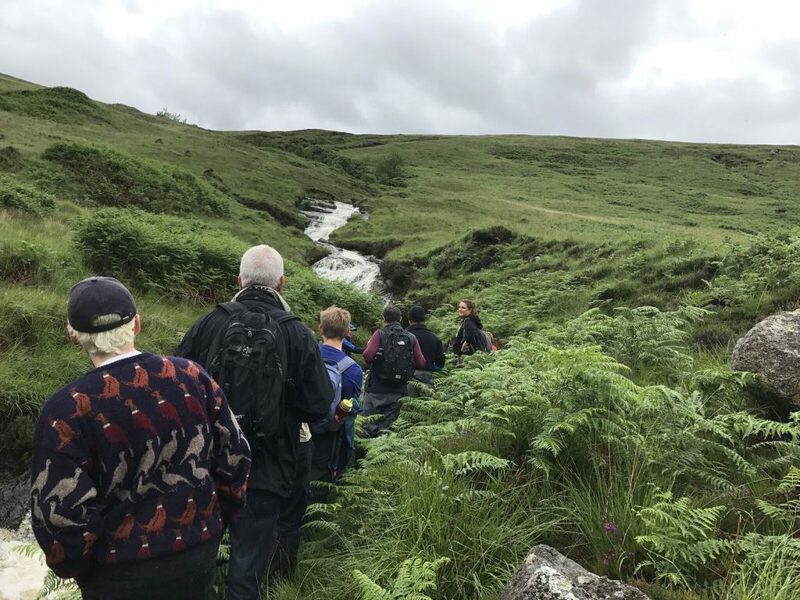 Grade: L; distance: 5km; height to climb: 308m; map(s): LR49, EX376; meet at: Longsdale CP Oban NM862307 at 0915, Ballachulish TIC NN083584at 0915, for start of walk at 1000. Leader: Ronnie Forbes 01866 822611. A hill that one passes every time one walks from Altnafeadh to Kinlochleven. Start beside the power station NN 189 618 follow West Highland Way to top of the pipelines then follow the conduit to NN 2226 5971 turn south east up to the Bealach at NN 2296 5918 then walk up ridge to summit of Beinn Bheag 616m. Continue west to meet the West Highland Way. Follow this down to the start..
Grade: M+; distance: 15km; height to climb: 650m; Maps LR41, EX392. Meet at Fort William WM NN 112 742 at 0900 or Glencoe car park NN 098 587 at 0940, for start of walk at 1000. Leader: Toril Frantzen 07788 264007. The approach to this Corbett is more commonly made from the North. Either way it is a difficult one to get at. This route is less well known and ideal for Easter Weekend, avoiding the crowds. Start at Kinlochan on the forest road, NM818673, where parking is available. Head N across the River Hurich, turning E to the buildings at Glenhurich. Continue on the track NE up Glen Hurich. At a T-junction turn E to reach the end of the track and continue E for 50m to the fence at the forest boundary. Scale the fence and follow it NNW uphill to another fence at 460m alt. Scale this and head NE diagonally up the slope to a summit at 701m. Continue NE on the high ground for about 0.9km, crossing two more fences, curving SE to reach the Bealach an Sgriodain. Continue SE to the summit of Stob a’Bhealach an Sgriodain. 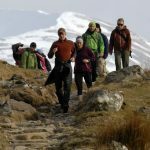 Return to the 701m summit* and follow the broad ridge SW along the watershed between Glen Hurich and Loch Shiel, over Meall nan Allt Beithe, 714m, and up to Sgorr an Tarmachain, 756m. Keeping to the watershed, descend SW over Sgurr an Easain and Sgurr na Greine to reach Maman Odhar. Locate the start of a forest track at NM709694 and follow it down the CP at Polloch, NM792689. Transport required, 5mins from start. *For an easier day that omits Sgorr an Tarmachain, descend E from the 701m summit, soon curving SE to a small summit at 607m. 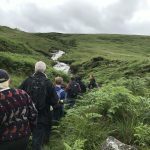 Turn S and head for Meall Daimh, 575m, then SE down its rough and contorted spur to a sharp bend in the River Hurich at Mam Beathaig. Ford the river to reach the track on the opposite bank and head W, following it to Glenhurich and back to Kinlochan. Distance: 20km *18km; height to climb: 1000 *900m. Suggested and coordinated by Andrew Gilbert.